As much as I craft you would think I could make a decent ribbon hairbow. 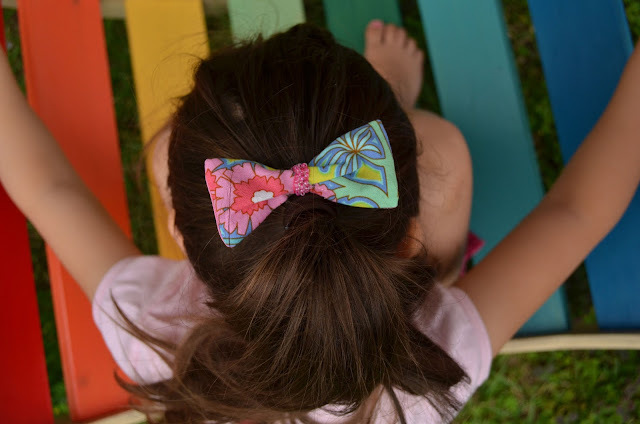 But the thing is - I really stink at making ribbon hairbows. 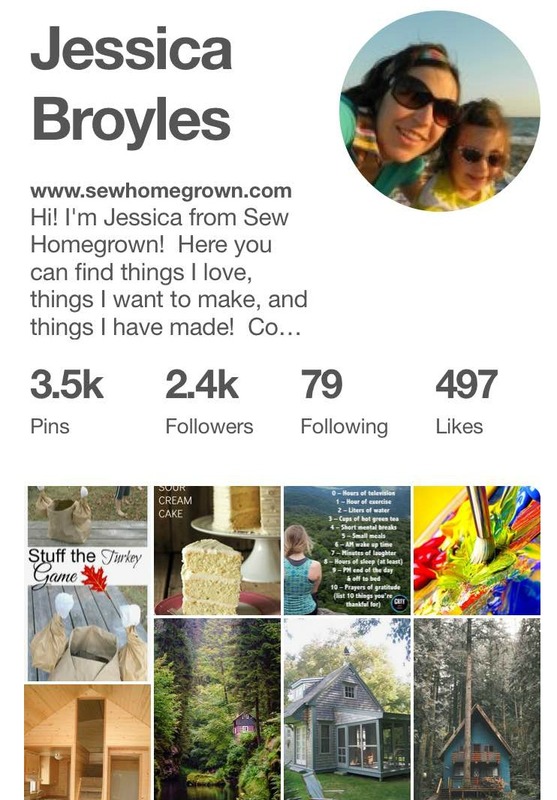 I just can't seem to get it right - even when I follow really great tutorials. So instead, I dug through my fabric stash and created this little bow. 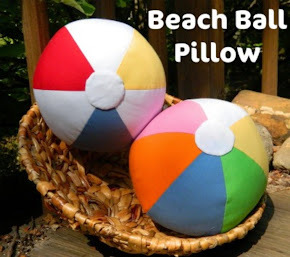 It's so simple to make. 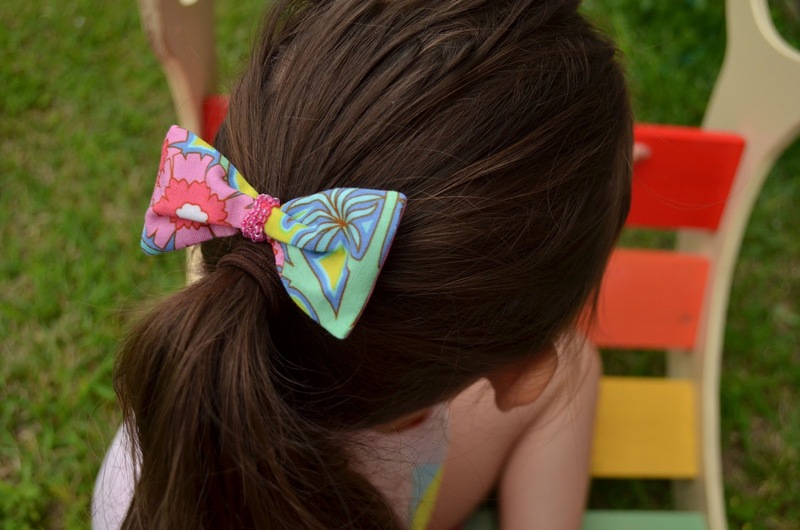 It will be the perfect accessory to your girl's summer wardrobe(or yours!). Just follow the easy instructions below!!! 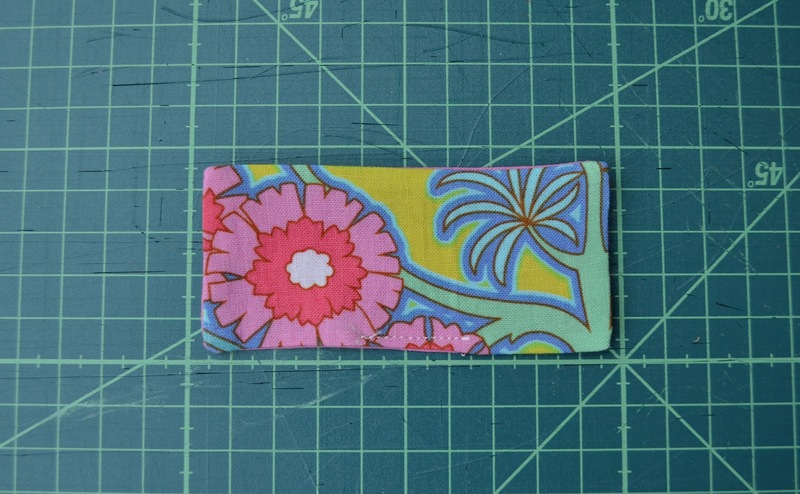 a small square of fabric - about 6"x6"
Cut a 4"x2" rectangle out of card stock for a pattern. 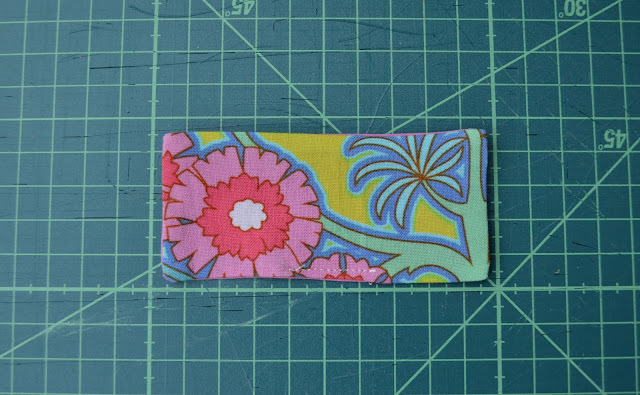 You don't have to do this, but I like to so that I can position it anywhere on the fabric. 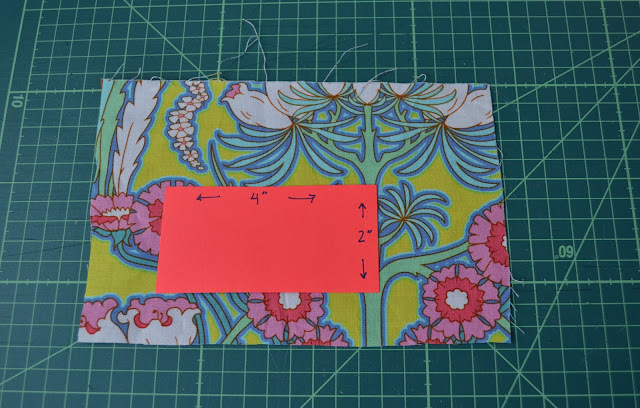 Cut out two rectangles. Pin the rectangles right sides together. Place marks 1" apart along one of the long sides. Preferably in the center. This will be your opening for turning. 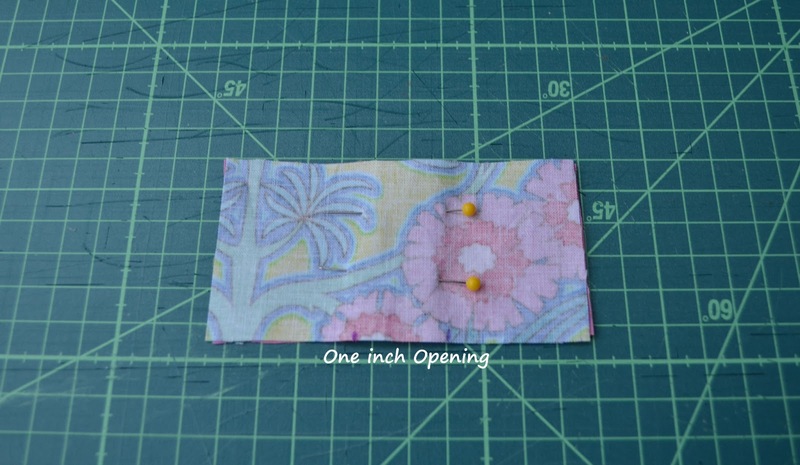 Use a 1/4" seam allowance and stitch around the rectangle, leaving the 1" opening. Clip the corners. 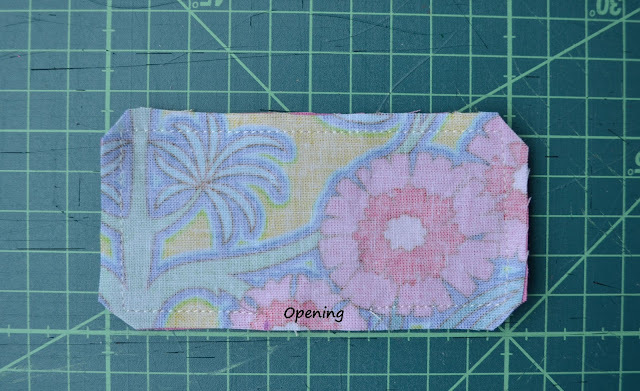 Turn it right sides out and topstitch the opening closed. Press well. Now, scrunch up the center of the bow. Just fiddle with it until you like the way it looks, then top stitch right over the folds to hold it in place. 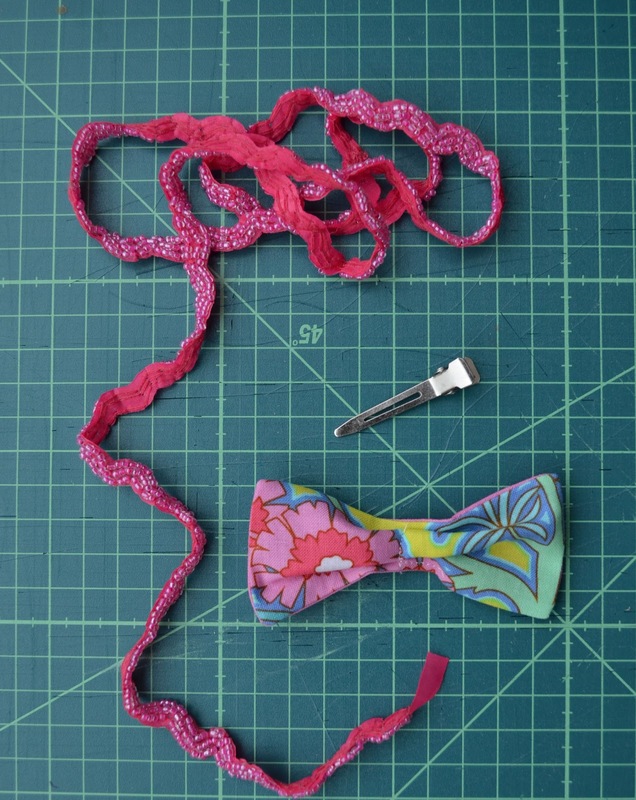 Select your trim and wrap it around the center of the bow - gluing it or hand sewing it in the back. Lastly, glue the clip to the back of the bow and enjoy! !